As of now, the packets only mention if the food is veg or non-veg. Piyush Goyal said that special emphasis should be laid on ensuring hygiene and quality of food served. New Delhi: Railway Minister Piyush Goyal has asked officials to ensure that meals served on board trains carry information about quantity and the contractor supplying it, as the national carrier continues efforts to improve catering services. In a letter addressed to all zonal general managers, the railway board has said that Mr Goyal has asked that food served to passengers has the name of the supplier or contractor, weight, date of packing and a distinct symbol indicating if it is vegetarian or non-vegetarian. 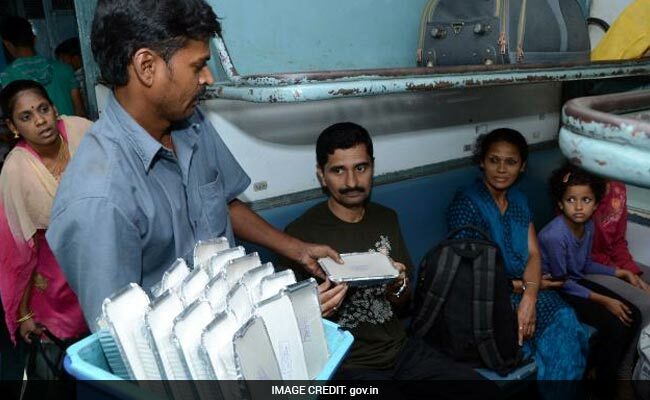 "Honourable Minister of Railways has decided that each food box/casserole in which food is packed and sold on trains must have these details," said the letter from Sanjiv Garg, Additional Member (Tourism and Catering), Railway Board. The letter, which was issued on Tuesday, said the guidelines should be implemented with immediate effect. The communication comes days after another letter was sent to the IRCTC and all general managers of Zonal Railways on the instructions of Mr Goyal, asking them to crackdown on overcharging by catering contractors and staff. The September 5 letter also said that special emphasis should be laid on ensuring hygiene and quality of food served to passengers. These measures come in the backdrop of a CAG report earlier this year which was severely critical of meals served by the railways.